We have finally received the artwork for the SARCOFAGO – DIE HARD slipcase. I believe you will agree that it was worth the wait. 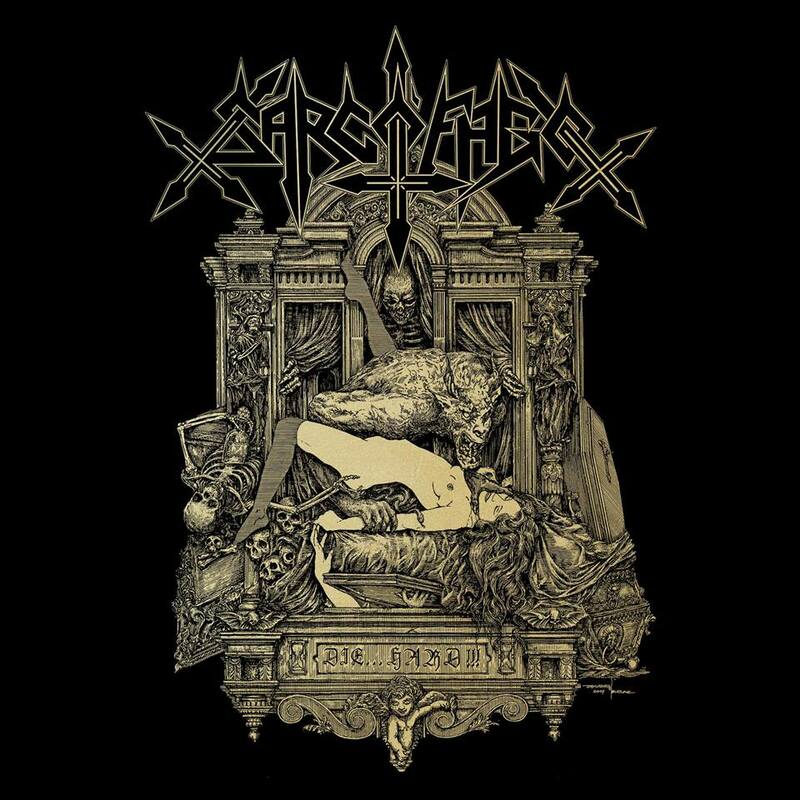 The artwork takes us back to the very beginning of Sarcofago – The SATANIC LUST demo as the center piece. The artwork is in house and we will now proceed to print and ship them to those who have ordered it. It won’t be much longer now. There will soon be t-shirts of this design as well. We ask for a bit more of patience as we get the items printed. As soon as they are ready to ship, we will let you know. Thanks Zbyszek Bielak for creating such an excellent artwork!